Unlock Your LG Phone in just few minutes! Choose your LG phone by selecting or searching from the drop down list. If you can't find your LG model contact us. When you insert another network provider's SIM card into your LG cellphone, the "network locked" message will be displayed. What happens if you want to use a different carrier's SIM card in your LG handset? We have the solution! You'll receive a professional grade service: providing you with a quick unlock code is our priority, and then we follow up the results of our service. We provide the codes and clear, specific instructions to unlock your LG phone. To unlock your LG phone, specify the correct model, then click to confirm. 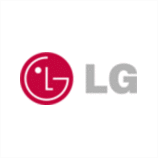 Our system will then calculate the unique unlocking code specific to your LG mobile. The most unlocked LG phones are currently the LG K8, LG Tribute 5, LG G6, LG V30, LG G7 ThinQ, LG K30, LG LS660. Simply enter the code into your mobile phone to remove the network provider's restriction. Your LG will be permanently unlocked and will accept SIM cards from every single network carrier, even foreign providers! LG unlock codes are 8 or 16 digits long. Depending on the SIM locking level used by your operator, you might need more than 1 code. This is why unlock-network.com provides the complete range of unlock codes: SIMLOCK, NCK, NSLCK, CLCK, PCK, ESLCK & SPLOCK. There are no nasty surprises: all LG GSM cellphones are unlockable.